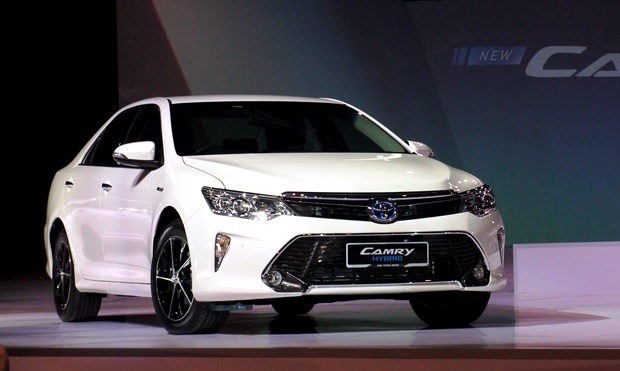 UMW Toyota Motor Sdn Bhd, the importer, assembler and distributor of Toyota vehicles in Malaysia, will not be increasing the price of the Toyota Camry Hybrid which has been on sale since April 2015. While the prices of other models sold in Malaysia have revised prices for 2016, the Camry Hybrid will continue to be sold at the same price of RM174,900 throughout this year. This is because it continues to qualify for the Energy Efficient Vehicle (EEV) incentive provided under the National Automotive Policy (NAP). “We are very glad the Toyota Camry Hybrid – which is the first Toyota hybrid model assembled in Malaysia – can continue to receive the Hybrid incentive until the end of 2016. We are grateful to the Malaysian Government for giving this support to our Hybrid local assembly effort, which demonstrates its commitment in developing Malaysia as the EEV hub of ASEAN,” said Datuk Ismet Suki, President of UMW Toyota Motor. He added that without the incentive to offset the cost, the model would cost much more higher, especially with the higher cost of its advanced Toyota Synergy Drive hybrid technology. “At this point, however, we can only confirm the continuation of the same price for the whole of 2016. For the year to follow, we will need to have discussion with the relevant government ministries again,” he said. The Camry Hybrid gains its popularity not only due to the reputation of the model as a comfortable and reliable executive sedan but also the advanced hybrid technology which offers high fuel-efficiency with high performance. It also comes with a comprehensive list of safety features that include seven SRS airbags, Vehicle Stability Control, Hillstart Assist Control, Blind Spot Monitor and Rear Cross Traffic Alert. For the owner’s peace of mind, the battery pack in the Camry Hybrid has a warranty of up to 8 years from the date of original registration (terms and conditions apply). This extended warranty period is also available for other hybrid models (the Prius and Prius c) that were officially sold by authorised Toyota outlets in Malaysia from 2009 onwards.